HGH Doctor is a hormone replacement therapy (HRT) clinic specializing in hormone balancing for men and women. We provide safe and effective forms of HRT that are medically proven to restore optimal hormonal well-being.Our clinic focuses on human growth hormone and testosterone therapies – two hormones that decrease with age. By bringing these hormones back into proper balance, many other health and wellness issues naturally improve.Hormonal balance improves energy, weight management, focus, circulation, digestion, physical appearance, and even sexual performance. Through proper hormone treatment, we can help improve your emotional, mental, and physical performance, no matter your age.While offering personalized hormone replacement therapies, we demystify the misconceptions about the various treatment options and what they can provide. Treatment is customized to the individual needs of the client. Hormone therapy should never be a one-size-fits-all type of treatment. Every person receives the finest level of care and only the treatment necessary for his or her body to regain hormonal balance. Dr. Sheehy completed his BS in Molecular Biology at the University of Idaho and went on to complete his Doctor of Pharmacy (PharmD) at the University of Washington in Seattle. 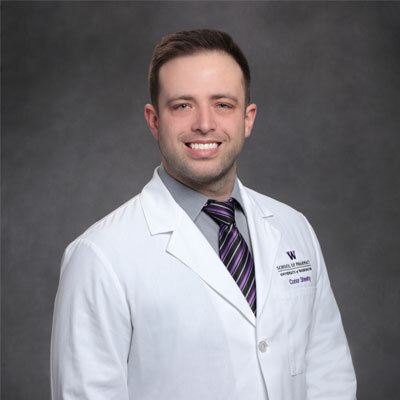 Since graduation, He has enjoyed varied experience in the areas of psychiatric pharmacy, retail pharmacy, and has worked as a provider with 1-on-1 patient appointments to manage anticoagulation medication (treatment of blood clots) and diabetes medications. He is able to work as a provider because of Washington State’s groundbreaking Senate Bill 5557, which makes Washington the first state in the country to require healthplans to recognize pharmacists as part of the healthcare team.